Es passiert etwas Wunderbares, wenn wir uns treffen und Musik machen: Die Tür unserer Klangwelt,-"Selva" öffnet sich. Diese Welt möchten wir mit Euch teilen. Sechs Musiker aus Kuba, Argentinien, Deutschland und Guatemala treffen zusammen und zeigen bei Liveauftritten ein sehr lebendiges und melodiöses Programm. Die Rhythmen des Bossa Nova, Rai und Cha Cha Cha mit einer Prise Jazz und Weltmusik machen die ausschließlich selbst komponierten Stücke aus. Selva wurde 1990 von Antonio Cosenza gegründet. Something wonderful happens when we get together to play music: the door to our own unique world of sound "Selva", opens itself. We would like to share this world with all of you. 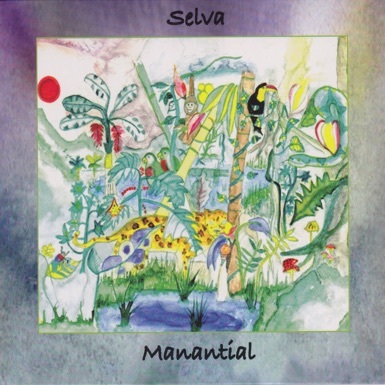 Selva's music finds its basis in a new and original style of latin jazz and fusion. Its melodies, varied and harmonic Latin-American rythms reflect the spirit and vitality of the jungle and the magic of its sound world. The multicultural integrations of this band (Argentina, Germany, Guatemala, Holland and Cuba) mixes a great variety of elements of spontaneity and fantasy, making every experience so unforgettable that will remain for a long time in the heart of the one who listen. Ocurre algo maravilloso cuando nos encontramos para hacer música. La puerta de nuestro mundo sonoro "Selva" se abre. Ese mundo queremos compartirlo con ustedes. 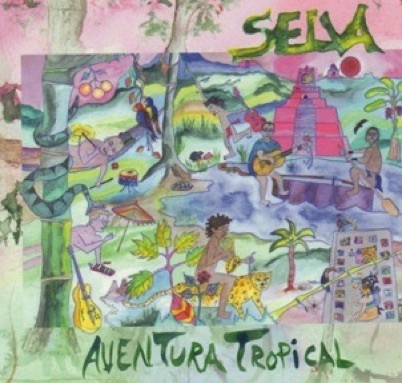 La música de „Selva“ encuentra su fundamento en un estilo nuevo y original de jazz latino y fusión. Sus melodías, armonías y variados ritmos latinoamericanos reflejan el espirítu y la vitalidad de la selva y la magia de su mundo sonoro. La integración multicultural de esta banda (Argentina, Alemania, Guatemala Holanda y Cuba) mezcla una gran variedad de elementos con espontaneidad y fantasía, haciendo de cada presentación una experiencia inolvidable que habitará el corazón durante un largo tiempo de quien la escuche. Leandro Saint-Hill: Saxophon, Gesang, Flöte Ilan Levanon: Midi-Gitarre Andreas Carstensen: Melodica / Gitarre Heinz Lichius: Schlagzeug.